How about this exquisite fountain. You can’t beat this for reality. 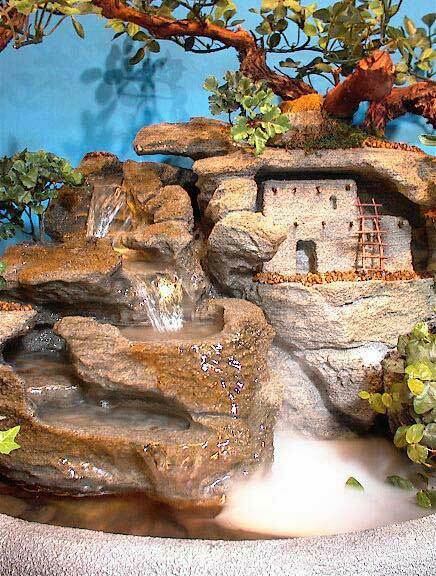 This display comes with a silk pine tree and one hand-sculpted Adobe Cliff Dwelling with hand made ladder. It will be delivered to your door fully assembled in just 1-2 weeks. Comes with Underwater Lighting and Fogging Effects already installed.